Germany's chief federal prosecutor has confirmed the arrests of four people who had contact with the Tunisian suspect in the Berlin Christmas market attack that killed 12 people, German newspaper Bild said on Thursday. The chief federal prosecutor was not immediately available for comment. 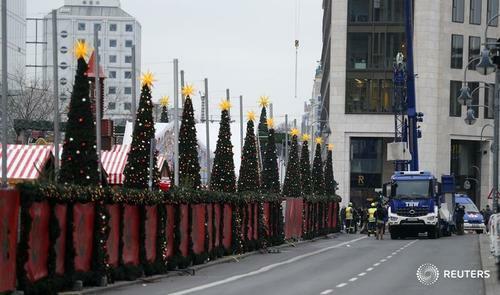 BERLIN, Dec 22 (Reuters) - A spokesman for the German chief federal prosecutor on Thursday denied a media report saying that there had been four arrests of people who had contact with the Tunisian suspect in the Berlin Christmas market attack. "No, that's not the case," the spokesman said when asked about the report. "We do not know of any arrest," he added. 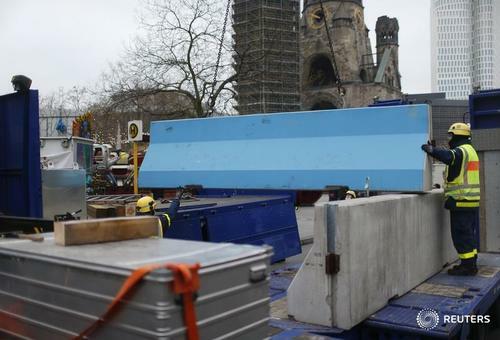 Fingerprints of Amri, Tunisian suspect in Berlin Christmas market attack, found on door of truck used in attack: German media. 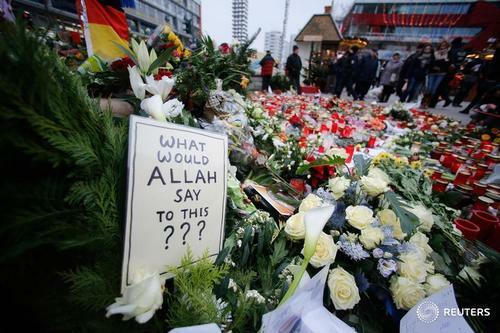 BERLIN, Dec 22 (Reuters) - Investigators found fingerprints of a Tunisian suspect in the Berlin Christmas market attack on the door of the truck that ploughed through the crowds, killing 12, German media said on Thursday, as a nationwide manhunt for the migrant was underway. Islamic State has claimed responsibility for the attack in which a truck smashed through wooden huts selling gifts, mulled wine and sausages on Monday evening. 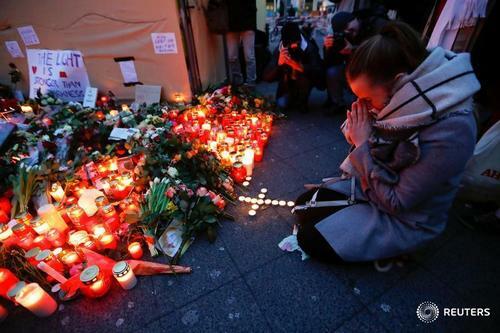 It was the deadliest attack on German soil since 1980. The media did not name their source for the report about 24-year-old Anis Amri's fingerprints and police declined to comment. The Berlin attack has raised concerns across Europe in the approach to Christmas, with markets in France, target of a series of militant attacks over the last year, tightening security with concrete barriers. Troops were also being posted at churches. 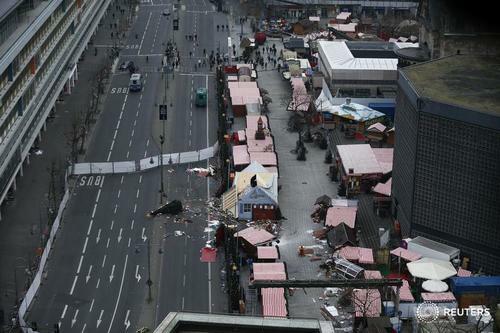 BERLIN, Dec 22 - German investigators believe there is a "high probability" that the Tunisian suspect they are hunting in connection with Monday's attack on a Berlin Christmas market is the perpetrator, Interior Minister Thomas de Maiziere said on Thursday. "We can report today that we have new information that the suspect is with high probability really the perpetrator," de Maiziere told reporters. "In the cab, in the driving cabin, fingerprints were found and there is additional evidence that support this," he added. 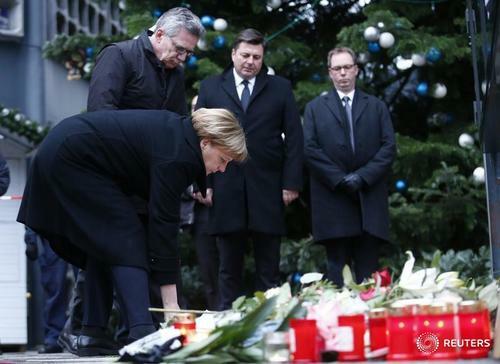 Chancellor Angela Merkel, appearing alongside de Maiziere at the Federal Office of Criminal Investigation, said she hoped the perpetrator would be arrested soon. Spokeswoman for German federal prosecutor's office says investigators carried out multiple searches across Germany today, first forensic results lead us to assume that suspect drove truck used in attack. No arrests made so far in search for attack suspect. 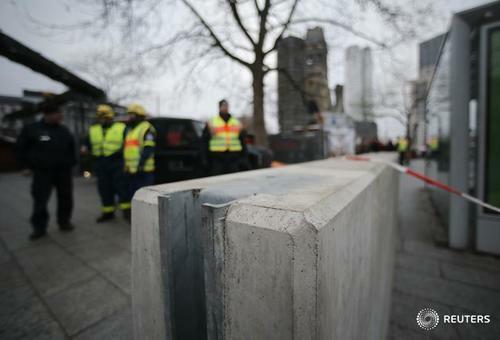 ReutersFingerprints from a Tunisian migrant have been found inside the truck that smashed through a Berlin Christmas market on Monday in an attack that killed 12 people, German Interior Minister Thomas de Maiziere said. Dashcam video obtained exclusively by Reuters shows a truck rushing towards a Berlin Christmas market, in an attack that killed 12 people. ReutersA video clip from a car-mounted dashcam appears to show the moment a truck drove into a Berlin Christmas market on Monday in an attack that killed 12 people. 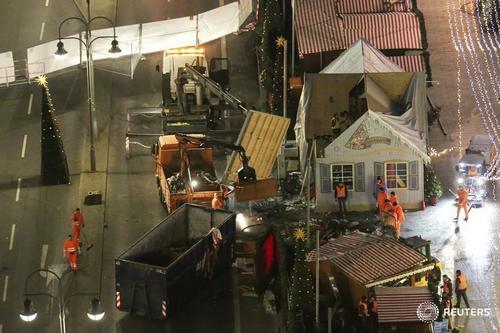 A man believed to be the suspect in the Berlin Christmas market truck attack was killed in a shoot-out in a suburb of the northern Italian city of Milan on Friday, a security source told Reuters. 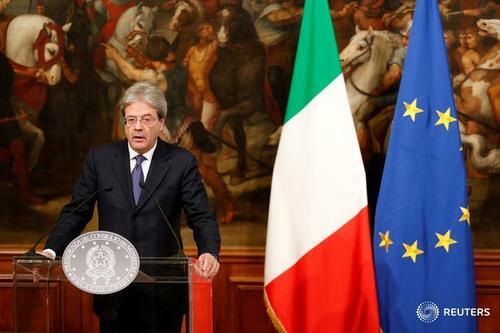 The Italian interior minister will hold a news conference at 10.45 a.m. (0945 GMT), the ministry said. BERLIN/MILAN, Dec 23 - A man believed to be the suspect in the Berlin Christmas market truck attack was killed in a shoot-out in a suburb of the northern Italian city of Milan on Friday, a security source told Reuters. Italy's interior minister was to hold a news conference at 10.45 a.m. (0945 GMT), the ministry said. 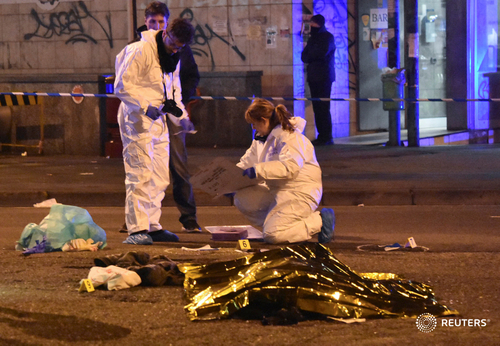 A short video posted on the website of Italian magazine Panorama suggested the shooting happened before dawn, with police gathered around a cordoned-off area in the dark. The report was one of several conflicting accounts on the whereabouts of the 24-year-old Tunisian Anis Amri. A man matching his description was seen in Aalborg in northern Denmark, the Danish police tweeted on Friday, saying people should keep away from the area as it had an ongoing operation there. Amri was also was caught on camera by police on a regular stake-out at a mosque in Berlin's Moabit district early on Tuesday a few hours after the attack, Germany's rbb public broadcaster reported. Amri was not a suspect at that time, and on Thursday morning, when police raided the mosque, they could not find him, rbb said. German investigators had said they believed Amri was still lying low in Berlin because he is probably wounded and would not want to attract attention, Der Tagesspiegel, reported citing security sources. 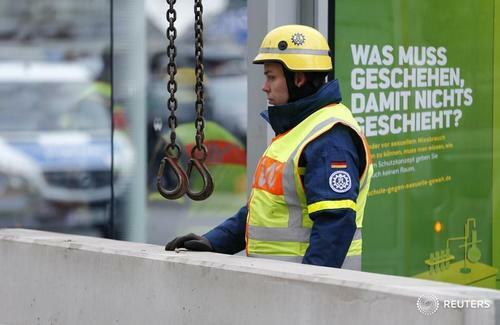 In the early hours of Friday morning, special forces arrested two men suspected of planning an attack on a shopping mall in the city of OberhausenIn in the western state of North Rhine-Westphalia, police said in a statement. The men - two brothers from Kosovo, aged 28 and 31 - were arrested in the city of Duisburg on information from security sources, they said. A police spokesman said there was no connection between the Duisburg arrests and the Amri case, which has been claimed by Islamic State. Amri had been identified by security agencies as a potential threat and had had his application for asylum rejected, but authorities had not managed to deport him because of missing identity documents. ROME, Dec 23 - A man believed to be the suspect in the Berlin Christmas market truck attack was shot dead in the early hours of Friday after he pulled a gun on police who had asked for his I.D. papers, a police source said. The source said the 24-year-old Tunisian Anis Amri was stopped by a regular patrol near the railway station of Sesto San Giovanni at around 3.30 a.m. (0230 GMT). He shot and wounded a police officer before he himself was killed. A justice source said Italian police had information he might be in the area. He was identified by his fingerprints. 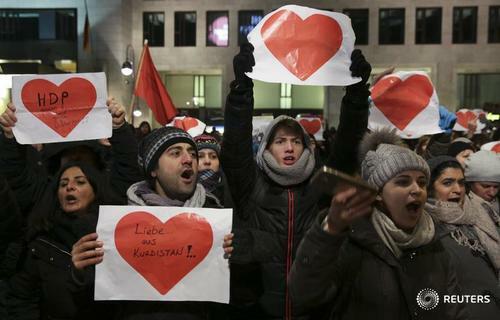 BERLIN/MILAN, Dec 23 - The suspect in the Berlin Christmas market truck attack was killed in a shoot-out in a suburb of the northern Italian city of Milan on Friday, Italy's interior minister said. 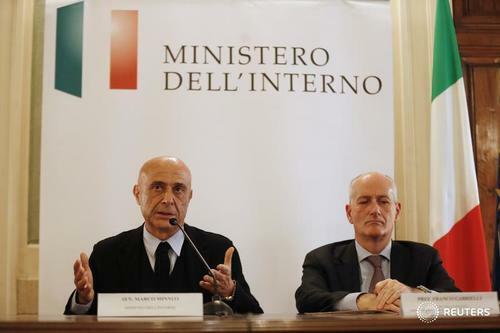 Marco Minniti told a news conference that "without any shadow of a doubt" the man was 24-year-old Tunisian Anis Amri, wanted for the attack in Berlin. A police source said earlier Amri was identified by fingerprints. Minniti said a routine police patrol stopped Amri in a Milan suburb in the early hours of Friday morning. The man took out a pistol and opened fire, injuring one of the police officers. The officer is now recovering. 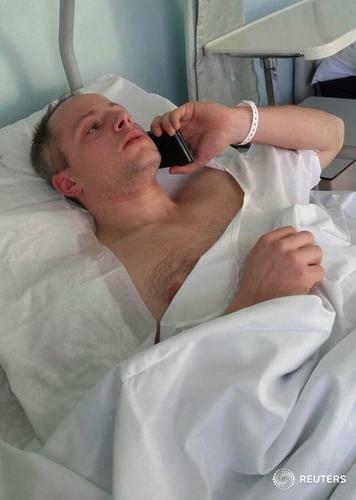 Police across Europe have been searching for the assailant since the attack on Monday. Amri was caught on camera by German police on a regular stake-out at a mosque in Berlin's Moabit district early on Tuesday, Germany's rbb public broadcaster reported. Danish police had also said a man matching his description was seen in Aalborg in northern Denmark. 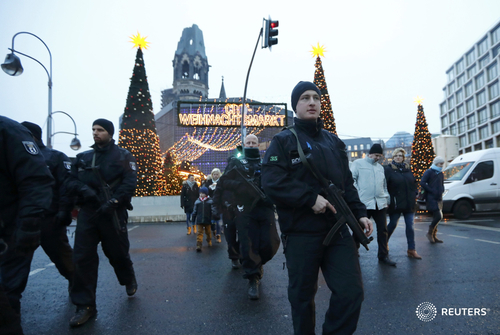 The Berlin attack has put Europe on high alert over the Christmas period. In the early hours of Friday morning, German special forces arrested two men suspected of planning an attack on a shopping mall in the city of OberhausenIn in the western state of North Rhine-Westphalia. The men - two brothers from Kosovo, aged 28 and 31 - were arrested in the city of Duisburg on information from security sources, police said. A police spokesman said there was no connection between the Duisburg arrests and the Amri case. MILAN, Dec 23 - The suspect in the Berlin Christmas market truck attack was killed in a pre-dawn shoot-out with police in a suburb of the northern Italian city of Milan on Friday, Italy's interior minister said. 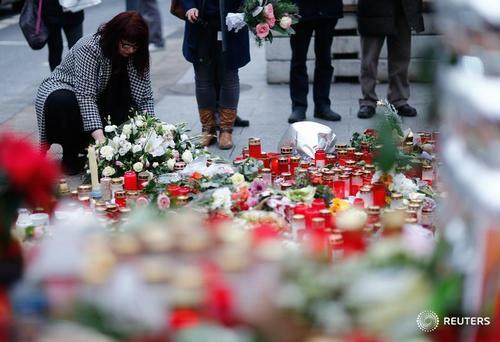 "The man killed was without a shadow of doubt Anis Amri," Marco Minniti said, referring to the 24-year-old Tunisian who is suspected of driving the truck that smashed through a Berlin market on Monday killing 12 people. Minniti told reporters that Amri was stopped by two policemen at around 3 a.m. (0200 GMT) in front of the Sesto San Giovanni train station, north of Milan. When he was asked for his identification papers, Amri pulled a gun and shot one of the two policemen, lightly wounding him in the shoulder. He in turn was then shot dead by the police. "These two extraordinary, extremely young men, simply by doing their duty, have done an extraordinary service to our community," Minniti said. One of the two policemen had only just started service and was on his trial period. A rail ticket found on Amri's body indicated he had travelled by high speed train from France to the northern Italian city of Turin, the source said. Amri then caught a regional train to the Milan suburbs. 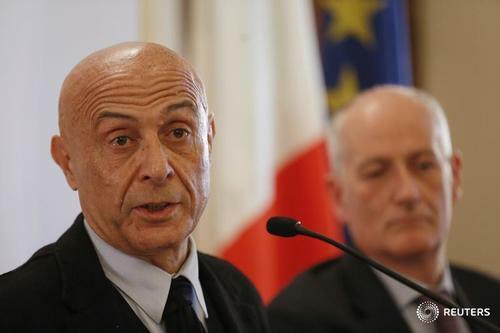 Minniti gave very few details of the police operation, saying investigations were still in progress. He added that there could be "future developments". 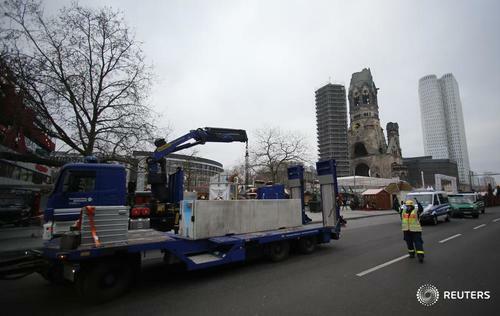 Islamic State has claimed responsibility for the Berlin attack, in which the truck mowed through a crowd of people and bulldozed wooden huts selling Christmas gifts and snacks beside a famous church in west Berlin. He had originally come to Europe in 2011, reaching the Italian island of Lampedusa by boat. He told authorities he was a minor, though documents now indicate he was not, and he was transferred to Catania, Sicily, where he was enrolled in school. Just months later he was arrested by police after he attempted to set fire to the school, a senior police source said. He was later convicted of vandalism, threats, and theft. He spent almost four years in two different prisons in Italy before being order out of the country. 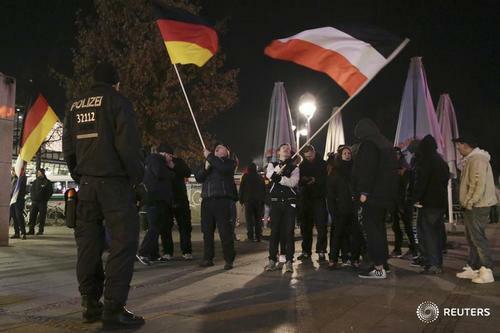 PARIS, Dec 23 (Reuters) - Leading eurosceptics were quick on Friday to blame open European borders under the Schengen pact for allowing the fugitive sought for the Berlin Christmas market attack to travel into France and on to Italy, where he was stopped and shot dead. "This escapade in at least two or three countries is symptomatic of the total security catastrophe that is the Schengen agreement, said Marine Le Pen, who leads France's far-right, anti-immigrant National Front Party. 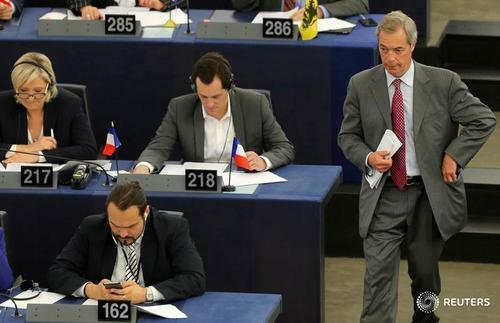 Nigel Farage, former UKIP leader tweeted: "If the man shot in Milan is the Berlin killer, then the Schengen Area is proven to be a risk to public safety. It must go." 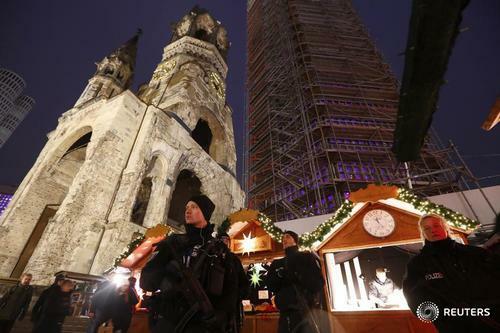 CAIRO, Dec 23 (Reuters) - The Berlin Christmas market attacker pledged his allegiance to Islamic State leader Abu Bakr al-Baghdadi and called for Islamic State supporters to take revenge of "crusaders" bombing Muslims, a video posted on Amaq news agency showed. "My message to crusaders bombing Muslims everyday... Their blood will not go in vain. We are a nation behind them and will take revenge for them," he said. "I call on my Muslim brothers everywhere... Those in Europe, kill the crusader pigs, each person to their own ability." 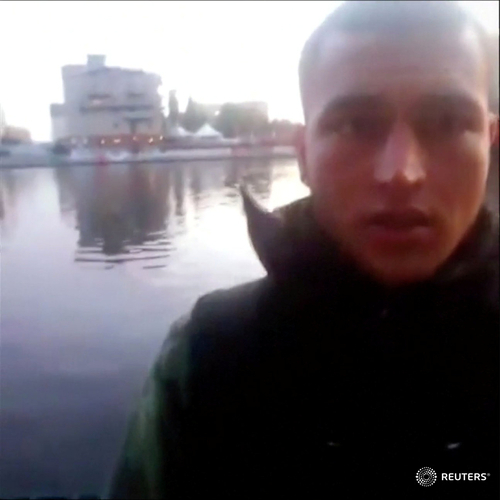 The accused Berlin Christmas market attacker pledged his allegiance to Islamic State leader Abu Bakr al-Baghdadi and called for Islamic State supporters to take revenge on "crusaders" bombing Muslims, a video posted on Amaq news agency showed.